This consultation has now closed. Please visit the scheme webpage for further information and updates on the scheme. 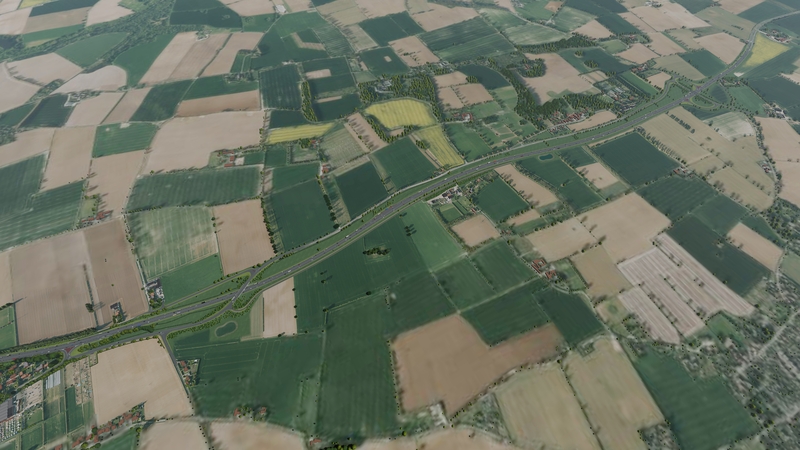 We are consulting on our proposal to upgrade the A47 between Blofield and North Burlingham. Our proposals will create a new dual carriageway that will relieve congestion, provide extra road space, improve safety and help provide a free-flowing network. This statutory consultation, being held in accordance with the Planning Act 2008, follows on from a previous consultation held on this scheme in March 2017 and our selection of the preferred route which we announced in August 2017. This statutory consultation is your opportunity to express your views on the design of the proposed scheme in advance of our application for a Development Consent Order (DCO) to authorise construction of the project. A DCO is a type of planning application, which is needed for a Nationally Significant Infrastructure Project (NSIP). Following the submission of the DCO application, the Planning Inspectorate will hold a public examination of the application before making a reccomendation to the Secretary of State for Transport who will decide whether or not the project scheme should go ahead. Businesses, local authorities, public bodies, road users and the communities and neighboring areas can play an important part in the development of the scheme design. Your feedback is therefore essential to this consultation as it will enable us to improve the scheme before we submit an application for the project. Follow the link below to the online response form. To allow us time to collect and assess all responses to this consultation before finalising our DCO application, please ensure your response reaches us by 11.59pm on Friday 19th October 2018. All of the consultation information is available on this webpage, including a brochure with a summary of the proposed route. The A47 trunk roads form part of the strategic road network and provides for a variety of local, medium and long distance trips between the A1 and the east coast. The corridor connects the cities of Norwich and Peterborough, the towns of Wisbech, Kings Lynn, Dereham, Great Yarmouth and Lowestoft and a succession of villages in what is largely a rural area. In 2014 the government published the Road Investment Strategy. This includes a package of 6 schemes to improve journeys on the 115 mile section of the A47 between Peterborough and Great Yarmouth. Together, the proposals will relieve congestion and improve the reliability of journey times for drivers. The Blofield to North Burlingham section of the A47 is an important, well-used stretch of road for those living and working in the area. Sandwiched between two dual carriageway sections, this stretch of the road acts as a bottleneck; resulting in congestion and leading to longer and unreliable journey times. Our studies have identified that the single carriageway section of the road no longer meets the needs of its users. The section also has a poor safety record, with a total of 40 collisions recorded on the section between 2013 and 2017. With further planned growth, including the ‘City Deal’ for Norwich, including over 50,000 new jobs and 100,000 homes, it is likely that these issues will only be increased. Further information about the Planning Act 2008 process and DCOs can be found on the National Infrastructure Planning website.